There's something about tea towels that make them irresistible for me to collect. They're small enough to pick up while traveling and carry home in a suitcase, stack folded on a chair as decor, or even frame and hang on a wall. 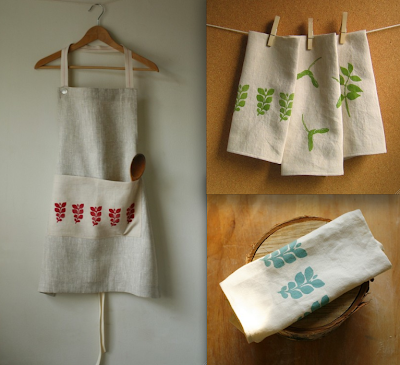 Jewelweeds' Etsy shop caught my eye for her tea towels' simple graphic designs on natural fabrics like linen, cotton, and hemp. 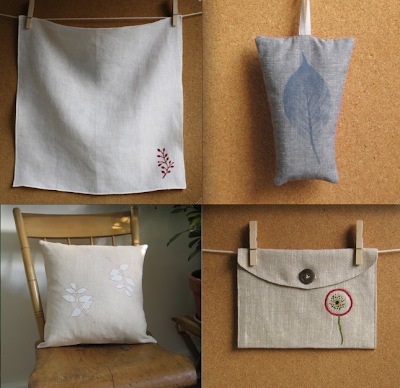 Lucky for me, she also makes pillow, aprons, sachets, cosmetic bags and more! Check out more featured Tea Towel designers on Etsy in this Storque article. Soooo cute! Simple and beautiful.